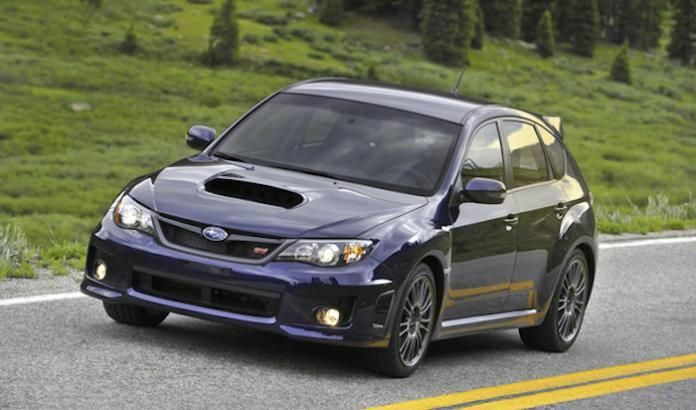 There’s a new lawsuit filed against Subaru claiming an engine defect damages 2013-2014 WRX and WRX STI performance models. According to a report by The Courier Post, the class-action lawsuit was filed last week by McCune Wright Arevalo LLP after an “extensive investigation by our firm during the past year," said attorney Matthew Schelkopf at the law firm's East Coast offices in Berwyn, Pennsylvania. The California-based law firm, filed the class-action lawsuit in the name of Vincent Salcedo, who says his 2013 Subaru WRX developed a "knocking sound”, then broke down on a California highway in July, 2017. The lawsuit claims the 2.5-liter engine was damaged due to a "an insufficient supply" of oil to coat connecting rod bearings caused by metal shavings in the oil. The lawsuit contends this caused connecting rods to fracture, releasing "large amounts of metal debris" that caused the engine failure. This is the second lawsuit brought against Subaru of America. Last year, the Cherry Hill automaker settled a suit alleging excessive oil consumption in their Forester, Impreza, Crosstrek, Legacy and Outback models made from 2011 through 2015. The newest class action lawsuit wants Subaru of America to notify consumers of the alleged defect and to reimburse owners for repairs and other expenses. With thousands of 2013-2014 WRX and WRX STI sedan and hatch models on the road, the suit says there’s the potential to cost Subaru more than $5 million. Michael McHale, Director of Corporate Communication for Subaru, said Friday they are “investigating the claims.” Stay tuned. Thanks for the info. It seems some of the problems Subaru is having with engines is related to specifying 0W-20 oil. None of the turbo cars use 0w-20. All turbocharged engines use 5w-30 full synthetic. Also, consumption has been an issue for Subaru for many years, not just recently. All of the older Subaru including turbocharged and 6-cylinder models all used 5w-30. The 0w-20 has been a recent change due to emmisions restrictions by the government. Simply put, thinner oil warms up faster, and getting the engine to full operating temperature is crucial for emmisions control. 90% of the time when I see engine failures in turbocharged vehicles referred to in this article, the majority of damage is caused by the driver. These are not race cars but owners think they can just redline and full throttle launch them every day without them breaking. These engines are not designed for high rpms. They stop making power around 5500 through 6000 RPM and there is no need to rev them anywhere past that but everyday I see in the data logs on my scan tool where they're being pushed well over 7,000 regularly. The way boxer engines are designed, the rotating assembly is extremely lightweight due to there being no counterweights on the crankshaft like a normal engine. The Pistons themselves act as counterweights to the opposing piston negating the need for extra weight to balance the engine. This is great for making power and low and mid-range RPMs, but can be catastrophic at higher RPMs. I am not saying that this is the cause for every engine failure, I replace engines on a regular basis for legitimate oil consumption failures, But this lawsuit specifically is just nonsense. When an engine experiences connecting rod or bearing failure at reasonable milage, 9 out of 10 times it is cause by neglect and misuse by the driver. Again, I am not saying that legitimate failure is do not ever occur. Obviously, any kind of mechanical device has the ability to experience premature failures due to incorrect tolerances or premature part degradation. It's an inevitable part of physical mechanics and it does happen. But filing a lawsuit against Subaru because you blew your STI up at the race track is simply arrogant and moronic. "...I see in the data logs on my scan tool where they're being pushed well over 7,000 regularly." Seems like a Subaru design oversight. If over revving is an issue with these engines, a rev limiter should have been incorporated. Also: Many online reports of Subaru dealers overfilling the engine oil, some even sealing the dipstick, as part of the engine oil consumption test, and finding – surprise – no problem. Many customers have decided to pass on any future Subaru purchases. I agree. 9 out of 10 WRX and STI engine failures are caused by their owners. Most of these "owners" are punk kids that do not have the ability to treat a car with any respect at all. I see so many of these come into the dealer with Access Ports hidden in glove boxes or under seats. They all don't realize that we do have the ability to check and determine that their car is modified. Personally I think if you modify your car with these products, your warranty should be null and void period!! To suggest that the AccessPort or the conservative Stage 1 OTS tune is that much more likely to blow this engine engine should completely void a warranty, is to suggest this engine and it's stock tune is much safer. It's not, ex. stock tune runs lean under boost. Agreed that the cause is abuse generally, and that's more likely with modified cars, sure. But a conservative tune alone shouldn't be considered fatal to the car. I agree that you can't just void a warranty because of an AccessPort and tune. The only mods I have are an AP, upgraded down pipe and a pro tune and my car had rod bearing failure at 71k, even though I do not track the car or ever launch it. I have all my scheduled maintenance performed on time or early as well, changing the engine oil at 3,500 miles with full synthetic. I believe the issue is more likely due to poor engine design. A well known and respected Subaru engine builder I spoke with said that rod bearing failure is very common in these engines. Actually that is exactly what Subaru does based on my conversation with the dealer. After my factory warranty expired after 5 years, I decided to finally break down and install a Cobb Stage 2 AP and tune with a Cobb downpipe into the factory SPT exhaust. I also just spent 800$ buying new Michelin Summer performance tires after paying it off. So it was alarming to get an notice from a law firm in the mail explaining that I'm included in a class action lawsuit about catastrophic engine failures due to poor design due to so many owners experiencing the exact issue you described. If the case settles as proposed, they will extend the factory warranty to 8 years or 100000 miles. If you had a failure as you did they will reimburse up to a certain amount if you produce receipts. I would like to see you get reimbursed, and to know whether you are denied due to the modifications. I have to decide whether I can keep the car or need to sell it. If ignorant mechanics as the ones that posted in this article calling me a snot nosed kid because I am a 46 year old professional after I paid 34,000$ and the service costs to the dealer for regular maintenance and deny my warranty for slight non mechanical modifications I will never purchase a Subaru again or take my car to a Subaru dealer. I never heard a Chevy Camaro owner hear of a dealer treating him with such disregard and disrespect. Subaru has been snubbing the performance enthusiasts for years as their market share shrinks, and I'll find another brand that doesn't. We had Subaru’s since 1974 The 1975 wheel drive came out was great and the was 1980 was the best. When the 1985 cam out it was the pits. The oil consumption was less than 700 miles to the quart. After 2 years they said they have a fix. My question was if I was the only one that had this problem why did they ordered 50 seal kits to correct it if I’m the only one with this problem ? They never answered that question. I said than no more Subaru. After 25 years I broke down and got a 2015 Outback. They guaranteed that the oil consumption will not exceed 1 quart between oil changes. With their 0W20 Synthetic and oil filter it uses less than ½ quart in 6000 miles and there’s 40K miles on the clock. Now I’m Happy . My other problem with Subaru’s , and hope they all fixed engine problems, every Subaru ,up to 1985 dealer had to remove the engine for some type of repair. This article seems there may be a problem again. Through all of Subaru's problems Consumer Reports has been rating them at, or near the top, without mentioning the defects. In 2012 I didn't take CR's advice and instead bought a Toyota RAV4 V6 4WD. Since then, I've not trusted Consumer Reports on much. Mine, a 2013 Plasma Blue Pearl hatchback, identical to the picture above, remained full stock (except some cosmetic minor changes as wheels and back lightings colour tuned), engine never tuned or cleaned, never had any problem as far now (95,000 km), even with some track days and many hot "Alpine mountain tours". Sporty but respectful driving: time allowed for temperature rising as cooling after use, YACCO or MOTUL 5W30 synthetic oil as specified by the manufacturer and no revving more than 6,000 rpm (no more power above and a rev-limiter works from 6,500 rpm): no oil consumption at all. No additional filling between the maintenance services, every 15,000 km. Am I such a rare Subaru owner? You treat your WRX STI with respect SubaStar and it shows. Most, but not all do. Thanks everyone for your input! my son owns one of a 2013-Subaru WRX/ST and has fallen victim to this defect, thank god the vehicle didn't break down while he was driving it, as it would of caused an accident and he would of been injured! !....the dealer repair shop did try placing blame on us until my son dug up this dirt on this whole situation...I am so thankful for the information highway of the internet, it saved us from being taken advantage of in that ruthless industry!! What do you mean "dug up dirt"? Did your son go outside of the warranty agreement and modify the car and the dealership/Subaru is denying a claim? If so, I hardly consider that digging up dirt. Pay to play. If you want to modify your car, be ready to pay for the repairs out of pocket. that happened to my car and im not modify nothing in my car and they blaime that it was lack of service when the car was in the dealer for service like 4 times in the 3 months the i purchased the car what are you said its wrong maybe you work for subaru there all dirty so you dont have to dig to much. This exact thing happened to my fiancé’s 13’ wrx. How in the world is Subaru not taking responsibility for this. This crap is throwing families into debt with a loan out on a car that is comepletelt worthless! Unreal! Regarding this lawsuit my 2011 STI has just been diagnosed with "rod knock" due to insufficient oil supply. However , I do see that this is for the USA and I am in Canada, would this lawsuit still be valid for my year and country?